Staff and students from Greenfield Community College enjoyed the amazing Tim Peake experience as part of a full programme of space age events and activities that have been held to coincide with the tour of the Soyuz descent model TMA-19M. 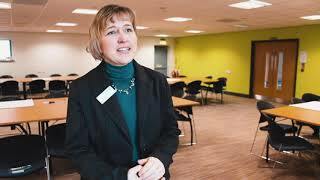 The Spacecraft arrived at the Locomotion Museum in Shildon in November 2017 and has been the focal point for everyone in the area to be a part of this piece of space history. 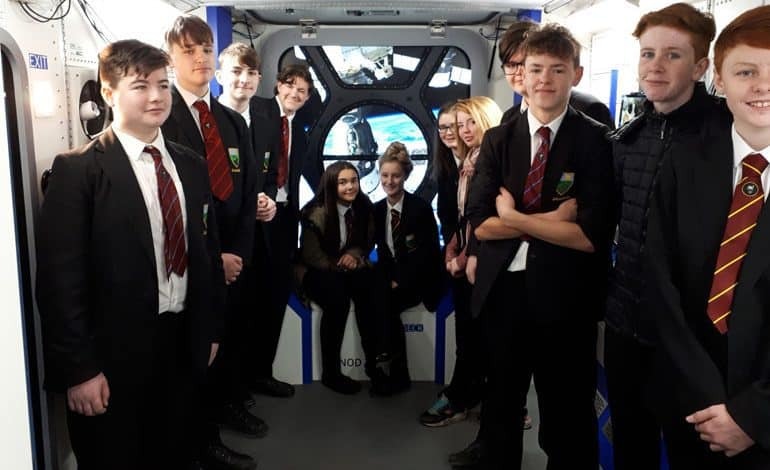 Greenfield Community College were one of the region’s secondary schools who were chosen to take part in a range of activities culminating in a recent 4D virtual reality experience of the descent of the Soyuz capsule and parachute. The experience was a very special way to learn about space travel and the science behind the scenes. The day included some digital training on how to land the capsule – this was all the more authentic as a live feed out of the window was projected as if the students were looking out of the actual International Space Station. Greenfield students were then able to get real insight into the journey through space as they were delivered a screened training brief from Tim Peake to prepare for the virtual reality experience of the descent. “It was a fantastic experience to be part of showing how the capsule unlocked and how it felt to be inside the capsule as it returned to earth,” said a school spokesperson.